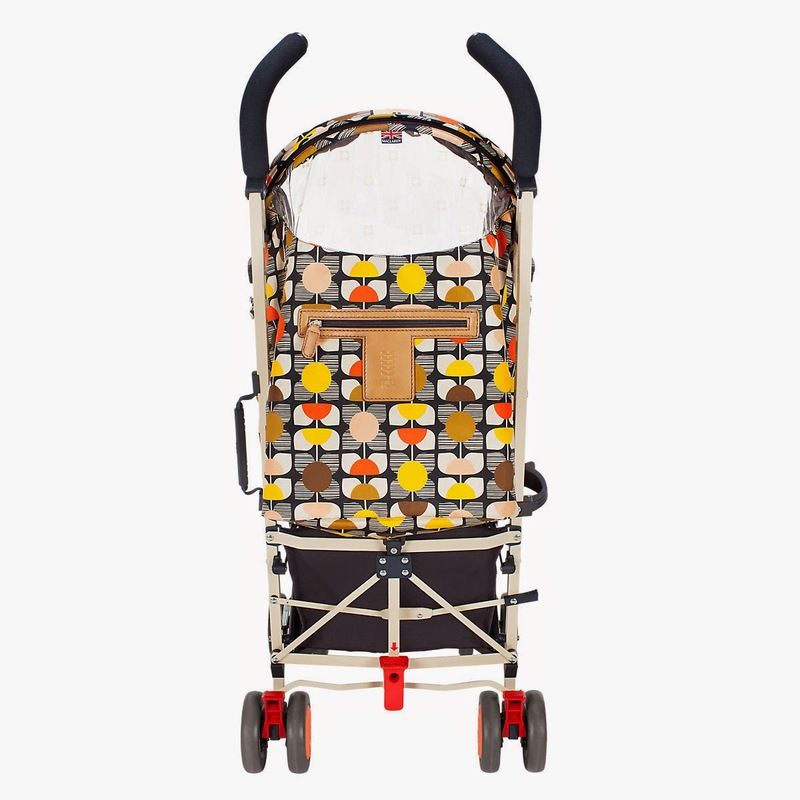 Mum of Five Staying Sane: Maclaren Baby Object of Design Orla Kiely 'Artfully Playful' pushchair stroller. 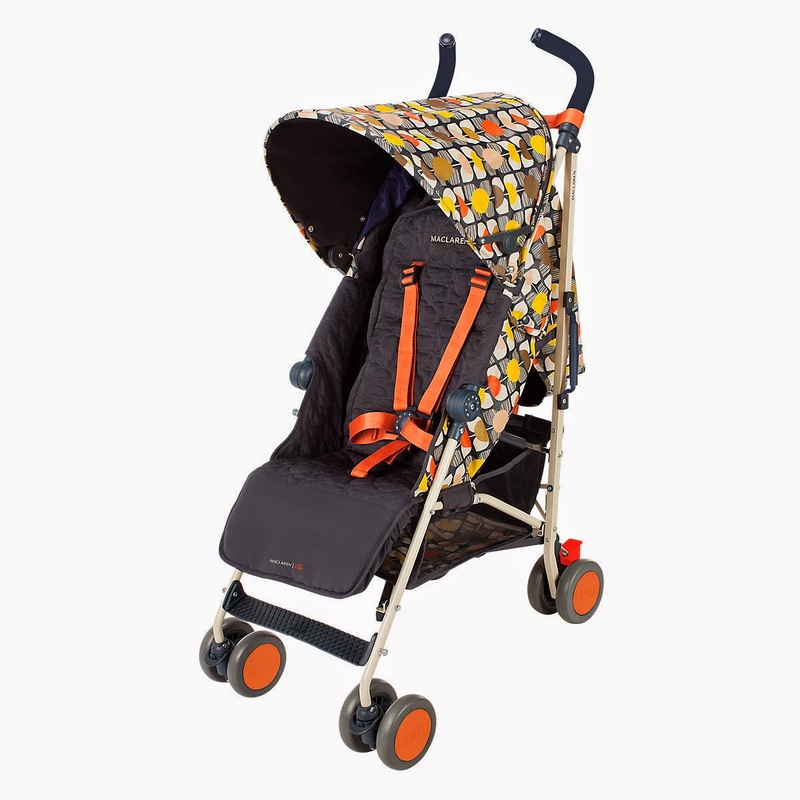 Gorgeous fabric colour and design on a Maclaren Quest stroller frame, suitable from birth. Maclaren Baby Object of Design Orla Kiely 'Artfully Playful' pushchair stroller. 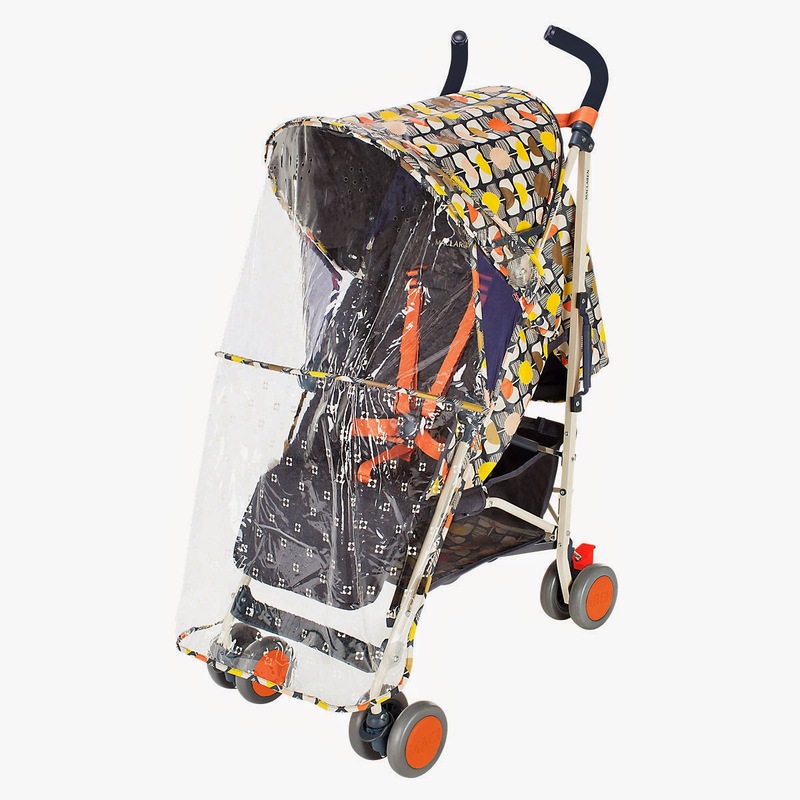 Gorgeous fabric colour and design on a Maclaren Quest stroller frame, suitable from birth. I stumble across this stroller whilst browsing the internet the other day and it really caught my eye. I am always on the look out for something different to stand out with and this pushchair really fits into that category. 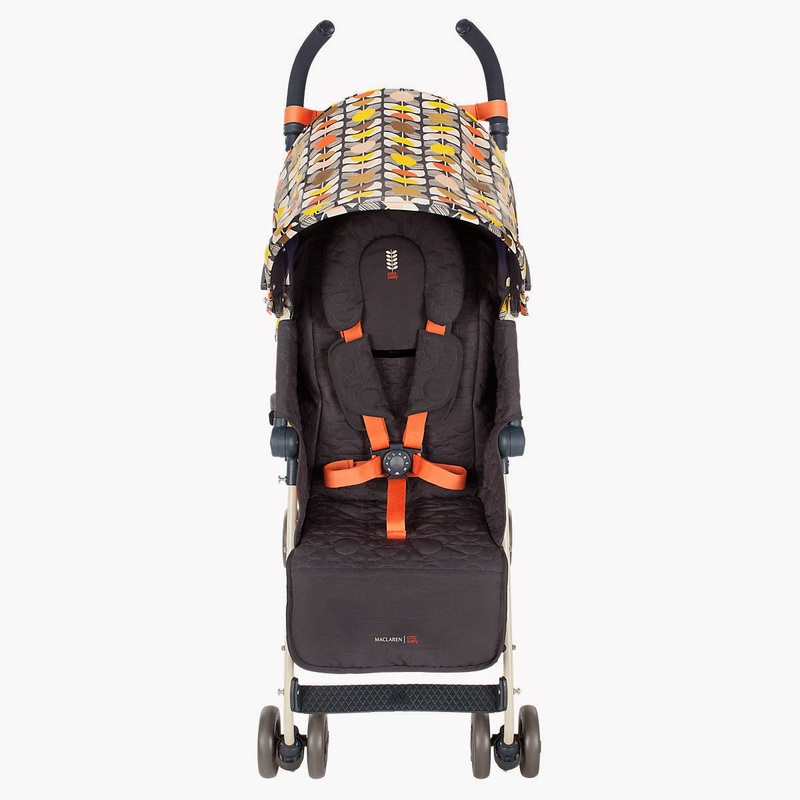 The Maclaren Baby Orla Kiely design is just as the name suggests 'Artfully Playful'. With a white/black patterned base colour to the fabric and then hints of orange, yellow and brown throughout it really is an eye catching and bright design but very pretty too. This buggy is suitable from Newborn upwards and has four seat positions. It can take children up to 15kg (EU-UK) and the buggy itself weighs 6.25 kg. This is a lightweight stroller but with the benefit of the newborn system plus headhugger etc... for the smaller babies and can then carry your child right the way through to toddler. 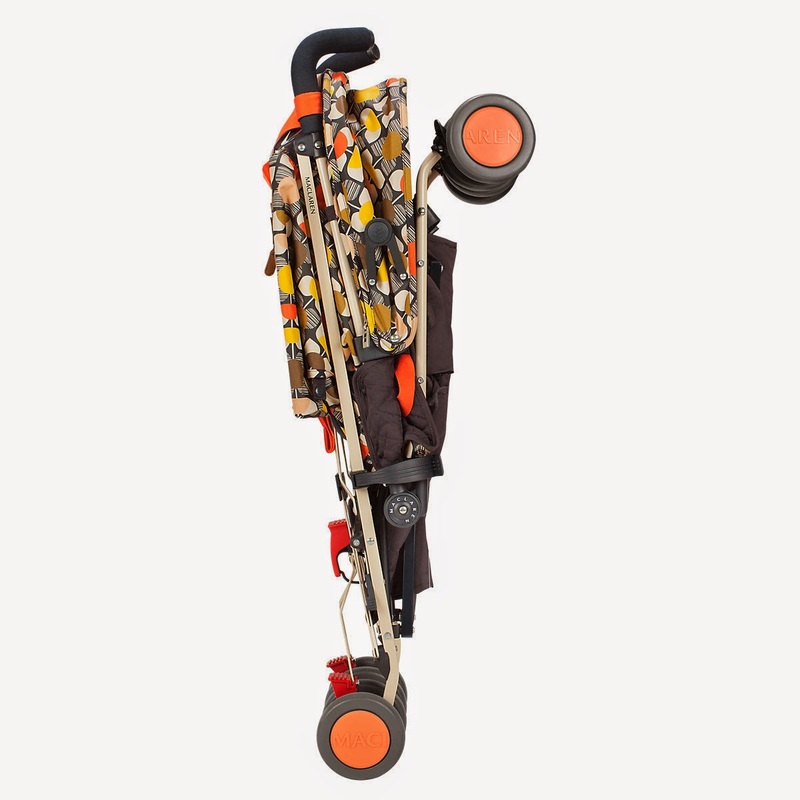 Ideal for travelling too due to its small, lightweight folding frame. RRP is £295 and it is available now from the Maclaren website and a few other Maclaren online retailers.